Microsoft’s ever-expanding suite of programs are consistently and thoughtfully designed with individual users and small businesses in mind. They are created in order to increase their productivity and efficiency in the workplace, in the classroom, and in the home. Microsoft products are well regarded as powerful, intuitive, and easy to learn. Microsoft products are already used by a large number of users worldwide; over 1.2 billion people across 140 countries use their products and have experience with them. It is inevitable that a product so popular is also easy to use and that it lives up to its claims of making your workflow more productive. When buying this particular program from SoftwareKeep, the most respected Microsoft retailer, you can be assured that you are purchasing a product that is trusted and a required toolkit across the world. Microsoft Office is the flagship product designed by Bill Gates for Microsoft in the late 1990s. It is sold as a downloadable package of applications that, when used together, create a total office experience. From word processor to spreadsheets, Microsoft Office 2013 has you covered. The MS Suite is the perfect tool, in the sense that it can be used both at home and in the workplace for both personal and learning use. The suite can also be modified depending on your needs. If you’re an individual needing just the basics, the Home & Student edition works well for your needs. If you’re a small business needing everything, you can select the Professional or Professional Pro edition to gain access to all the available programs. Many customers automatically download Microsoft Office 2013 as soon as they get a new computer. It is the ultimate package for both work and play, to organize and present your information in creative ways. If you have an existing computer with older software, you can also purchase the latest edition from SoftwareKeep to upgrade your license with us. 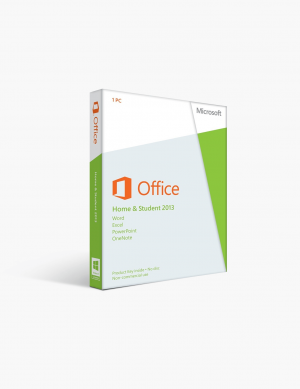 We guarantee that our products for Microsoft Office digital downloads are reliable and authentic, as we source from only from reliable, genuine suppliers. We are proud of keeping our customers’ data and their payment information secure. Those new to the Microsoft Office programs may struggle to figure out how to do certain things with the vast array of functions available, from installation to getting started. For those cases, we have a dedicated customer service team available 24/7 to assist you with your purchase, as well as a library of ’how to’ articles that will help teach you how to use your new software. Looking through our website, you can see we have a huge range of Microsoft products for you to research and choose your favorite. We are the most respected Microsoft Office retailer on the marketplace, and our excellent customer service and authentic products reflect that. A great advantage of Publisher is its ease of use and intuitive layout. Even if you’ve never used it before, you’ll find Publisher particularly familiar if you’ve ever used any Microsoft product. It contains some of the same interface and functionality as any other Microsoft program that are used in schools, at work or at home. Publisher offers users a high degree of control over design and layout. Much more manipulation can happen on Publisher than would be available on a program like Microsoft Word, such as shapes, sizes, and unique features. It’s a fantastic tool to have in your arsenal, regardless of how often you may choose to use it to create beautiful, media-rich files for publication. Microsoft Excel is easily one of the most utilized programs that Microsoft offers. It is the ultimate showpiece for businesses, making it possible for users to catalogue and manipulate data, input records, and produce spreadsheets regarding your most important data. Excel is far, far ahead in terms of spreadsheet applications, no other spreadsheet application comes close to the same level of functionality. It’s certainly not a database, but it works very well when you use a database along with Excel. It gives you the opportunity to create charts and reports from the data you provide. As you can easily imagine, Excel charts and reports are perfect for managers and accountants. You can store and manipulate data, great for in the office or keeping finances in check. Besides the many uses that Excel can provide users with its powerful features, it also offers separate versions with full capabilities for both Windows and Mac users. The biggest and greatest word-processing program online is Microsoft Word. It’s incredibly easy to use and used by millions of people daily. The layout and features are fantastic; Microsoft Word is so easy to learn and it is very valuable tool to have at your disposal. As a word-processing program, Word lets you produce text-rich documents, writing a book or an essay, designing a resume, tracking staff logs or drafting an office memo. Add any number of images, graphs, custom fonts, or shapes and colors to enhance your documents. Save your work in a number of formats, including Word document, a PDF, or a webpage. There is no need to worry about making mistakes while writing with Microsoft Word, you can make many mistakes and follow up with features like Spell Check and the built-in grammar checker. Thanks to these features, you’ll never let a typo or spelling error affect your work quality again. Word is the perfect program for those who may lack the technical ability to write and produce documents on their own accord. With Word, you’re covered with a vast set of tools to help you, making it the perfect platform to do any writing. Outlook is Microsoft’s robust email provider which syncs with a number of added options and functions. It allows users to manage their email accounts and sync those accounts with schedules, calendars, contacts, or task lists as part of Outlook itself. These features help to streamline your workflow and increase your productivity by eliminating the need for separate applications for all these functions. You can setup multiple email accounts with Outlook, meaning that inside the one client you can have your Gmail, Hotmail, Yahoo, and any other accounts you may have, making them readily available without switching between your individual accounts. For example, you can seamlessly integrate your university, work, and personal emails. Outlook really sets the bar high for other email providers, in the sense that its fully integrated task and scheduling planner set it apart from other email clients. Microsoft understands that people don’t just like to have their emails without knowing what the email content includes, so they use the task manager and calendar to add plans directly from the emails into calendars and to-do lists. These tools within Outlook allow you to manage your life much more efficiently. Presentations are increasingly one of the most important educational and professional tools. PowerPoint is an essential business function; it’s a slideshow application that is quite easily the most impressive one today, with versions available for both Macs and PCs. PowerPoint gives you the potential to produce professional and streamlined presentations from wherever you are working with the use of very technical templates and presets. You get a wide selection of themes and templates ready to use, which you can learn to use quickly to better help your audience understand the information being presented. Presenter mode is a fantastic feature of PowerPoint, allowing you to setup the presentation in advance to better prepare yourself for your presentation; you can run a timer, rehearse the presentation, and record yourself to gain insights. PowerPoint also provides the option to hook up to a projector or larger monitor, perfect for large workplace or classroom settings. As always, our team is here to help you set up your newly purchased software. Our customer service team is here at all times, but if you prefer to learn on your own time, our ’How To’ guides should provide you with the resources you seek at any given time. Visio is one of the lesser-known programs in the Microsoft suite, but that is not to say that it is the least useful. It is perfect for users that need to produce graphs and diagrams regularly, to more effectively convey complicated information to a wide audience very quickly. You can choose from a wide-ranging list of diagrams, from flow charts to floor plans, and there’s really no limit to what the program offers, which explains why it is growing in popularity. As always with Microsoft products, users of any skill or experience level are able to pick up the features and tools of these programs quickly. They come equipped with templates, presets, and libraries packed full of features that let you get started without needing to learn any technicalities that may take hours of your time. By using Visio, you’ll be able to export diagrams and graphs into other Microsoft programs with ease. For any help, feel free to contact us and we will be happy to help you navigate the unique tools Visio can offer.